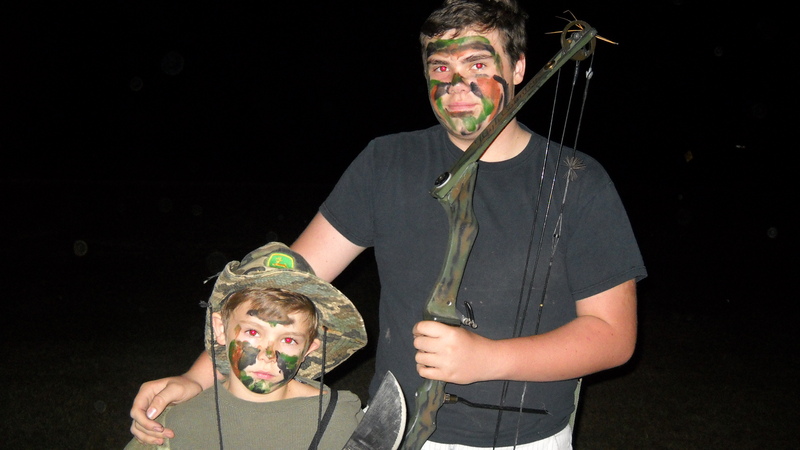 What do you get when you take two adventurous boys, some paint, knives, guns, flashlights, and industrious imaginations? If you were here at our house you would get an ambush. As I write this, my boys are laying in wait for their father to come home. I am not sure what they will do with him when they catch him but nonetheless he will receive a surprise attack. We encourage our children to be imaginative. When my boys play together it fosters a healthy relationship between brothers. It also builds into them a spirited desire to be men. It is because when they play they are winning wars, saving princesses, fighting enemies, rescuing the helpless, doing mighty deeds, and becoming heroes. In addition, allowing my children to have active imaginations makes it a lot easier in teaching history. For example, when my boys pretend to be frontiersmen, the account of Lewis and Clark turns from boring historical facts into real, authentic stories lived out in their minds. This is why I am excited about my discovery of The Corps of Re-Discovery. The Corps of Discovery was the name Thomas Jefferson gave to Lewis and Clark’s party as he commissioned them to find an east-west water passage to the Pacific Ocean over 200 years ago. The Corps of Re-Discovery is the name of a home-based family business who wants to help inspire imaginations and create memories. They offer project kits to enrich studies of American Indians, Frontiersmen and Pioneer Americans so children can “re-discover” America. 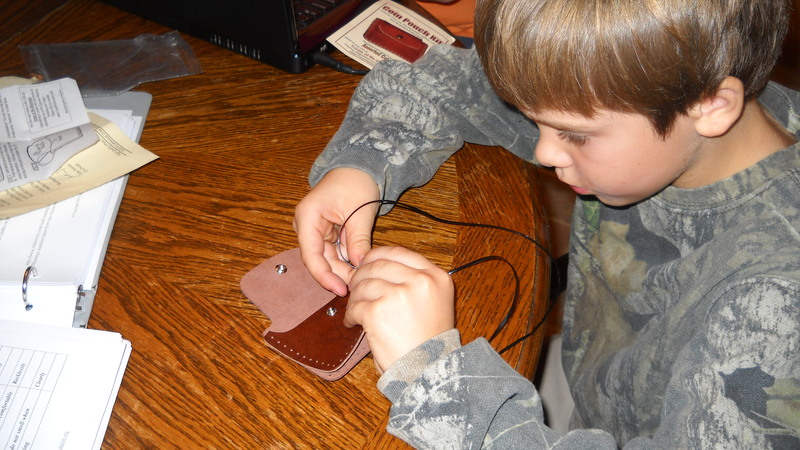 I was given an opportunity to review one of their products, a frontiersmen coin pouch. Unfortunately, I was only given one to review. Therefore, we had to come up with a creative solution to “who gets the pouch.” Aaron decided that if he could make it then Andrew could take it. The kit was easy to understand and simple to complete, taking just a few minutes. In fact, after starting it Aaron went ahead and let his younger brother finish it. Priced at just $4.95 it was not only fun but economical. When a child makes his own toy from the past he easily becomes excited about this era of American History. When you visit their website you will see that they have everything an American Indian needs from throwing tomahawks, to arrow kits, to moccasin kits. 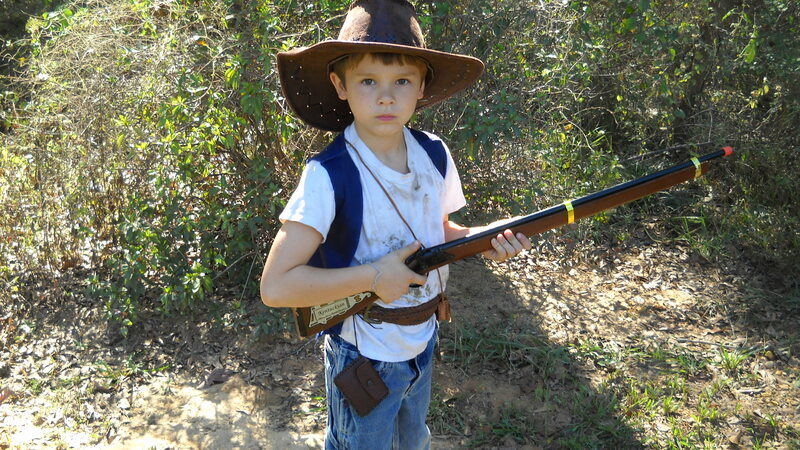 Perhaps your children like to pretend to be pioneers or colonials. They will enjoy a quill feather pen kit, a weaving loom, or a cornhusk doll kit. 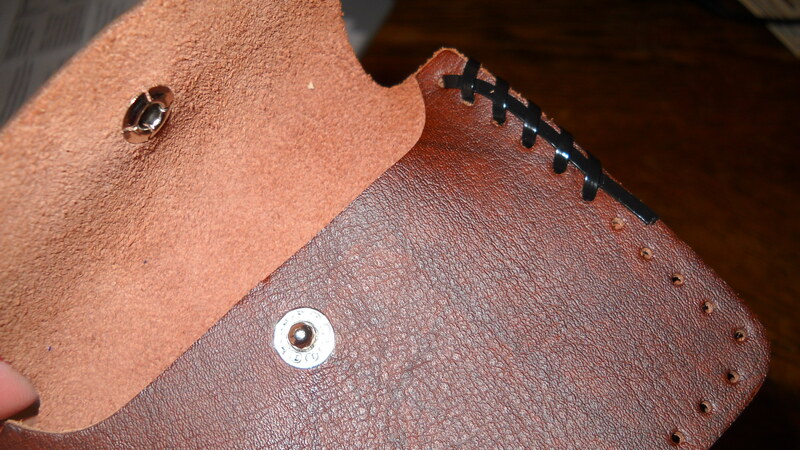 In addition to the coin pouch, your frontiersmen might enjoy the powder horn or a coonskin hat. 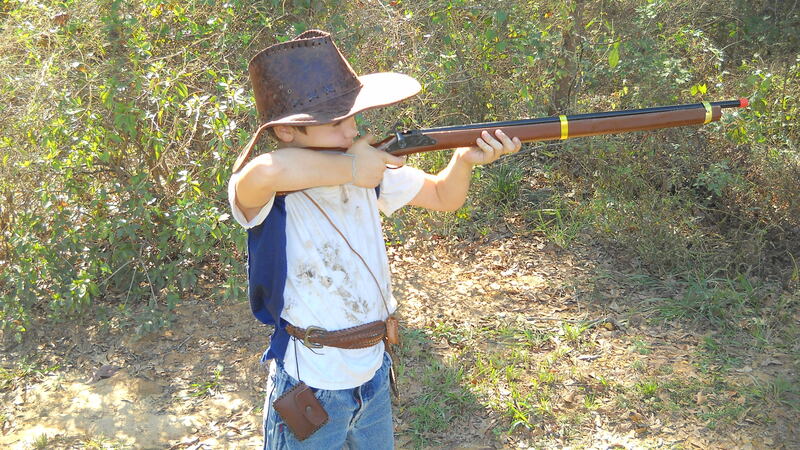 However your children like to play they will find something they love at The Corps of Re-Discovery. 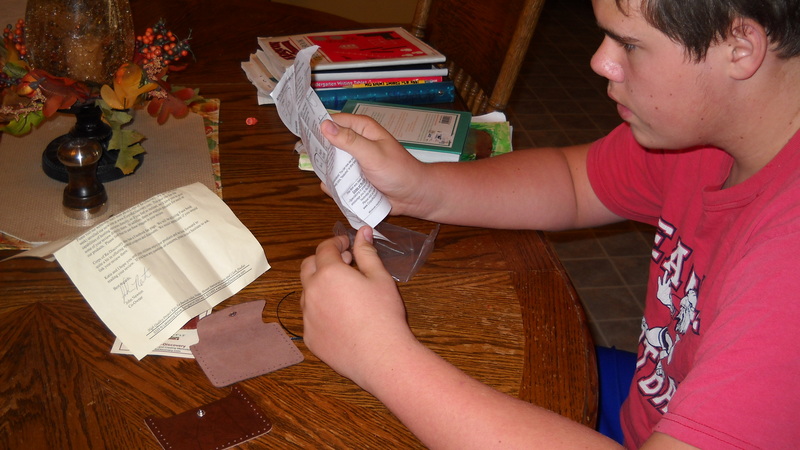 Below is a picture of Andrew and his new coin pouch. Click here to see what others are saying about The Corps of Re-Discovery project kits. Disclaimer: As a member of The Old Schoolhouse 2010-2011 Crew, I received the coin pouch free of charge in exchange for an honest product review. I do not receive any other form of compensation for the reviews posted on this blog. Oh, they are just so cute!! What a nice big brother to share–my son would’ve liked this review, too! I may try to get something for Thanksgiving. I love seeing them make things. Great review! Very nice review. I love the action shots! Glad your son had fun making this one-and I bet he’d love the tomahawk one too!